Deer accidents are a significant threat to motorists on U.S. roads, yet few motorists would know what to do if they were involved in such an incident. Here are some things from Rivertown Buick GMC to keep in mind. If a collision is inevitable, it’s instinctive for drivers to take evasive action and try to avoid an impact. Ironically, this is what more commonly leads to a serious accident, as drivers swerve into the path of other oncoming vehicles or leave the road and collide with a tree or other obstacle. As cruel as this may sound, the best course of action if collision is inevitable is to hit the animal. Any other option runs the risk of causing serious injury to you and your passengers and to other users of the road. Do not speed up. Apply your brakes firmly, hold onto the steering wheel, and bring your vehicle to a controlled stop as soon as possible. After the collision, check to see if any of your passengers are injured. Ensure that everybody remains in the car (unless it is unsafe to do so) and apply your hazard lights. Unless you are absolutely certain that the animal is dead (and this is very difficult to detect in some cases) you should immediately call 911 and ask for assistance. If the animal is still alive, it can cause serious injury with a kick, so you should ensure that nobody tries to move or touch the animal. If it is blocking the other carriageway, move your car out into the road and apply your hazard lights to stop oncoming traffic. You should fill out an accident report with the police as soon as possible for the benefit of your insurance company. The police will also be able to arrange for the animal to be moved by the appropriate authorities. In the U.S., it is illegal to remove a deer carcass without an appropriate permit, although you may be able to obtain one from the police officer. 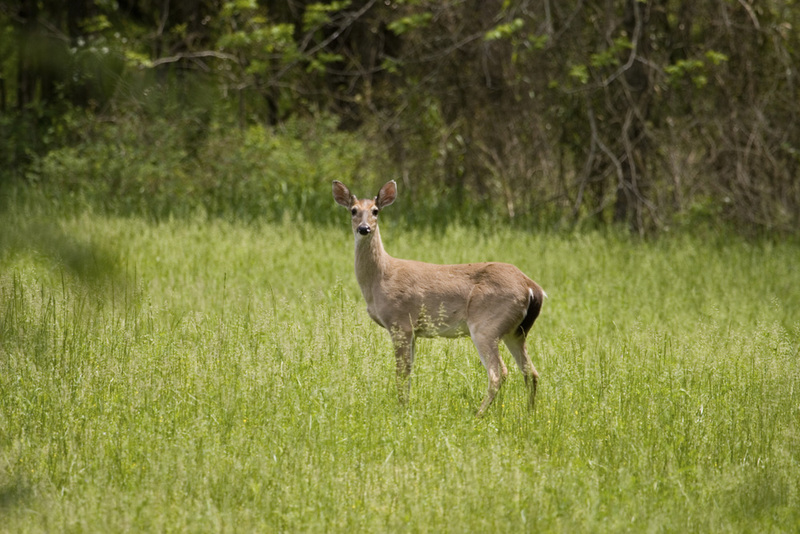 Hitting any animal in a car is distressing enough, but in the case of an animal as large as a deer, such an accident could cause serious injury and death. Be prepared so that you can limit the damage as much as possible.